Nestled in Lyndhurst Tower, HQ is more than your average Central boozer. 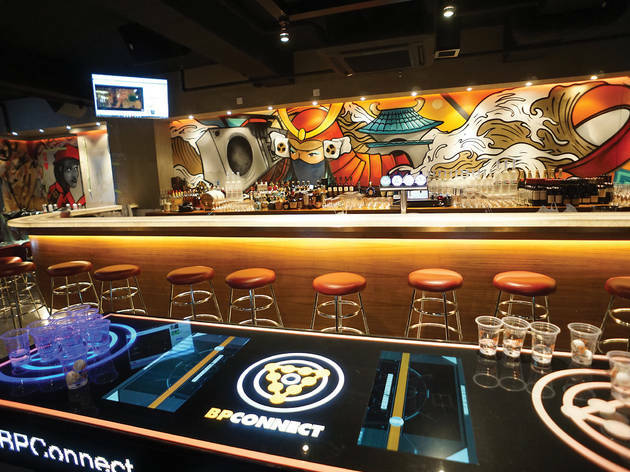 It's a place to wage war on games while you're sipping on a decent cocktail. Wii stations playing Mario Kart alongside snooker and beer pong tables dominate the quirky interiors as hip-hop music lifts the soul. Also inside the new space, one wall is dominated with graffiti by local artist Smile Maker, depicting a Japanese samurai with a ghetto blaster. It's cool and it's funky. We browse through the reasonably priced menu that features cocktails, wines and whiskies. 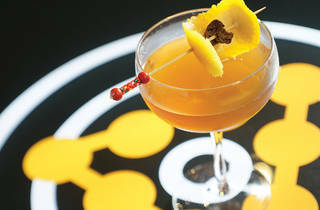 We opt for the Jungle Juice ($80), a concoction of tequila ocho, vineyard peach liqueur, passion fruit, lime and pineapple. It's a fruity and tropical mix, sweet and refreshing but not for those seeking a stronger tipple. We then balance it out with bourbon-based cocktail Men in Blue ($80). 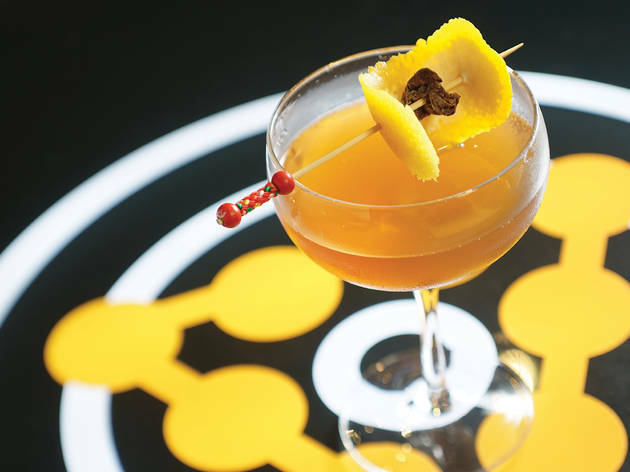 Bulleit Bourbon is mixed with La Quintinye vermouth and peach bitters and garnished with orange zest and Chinese dried plum. The oaky bourbon mellows the sourness of the plum, creating a harmonious mix. 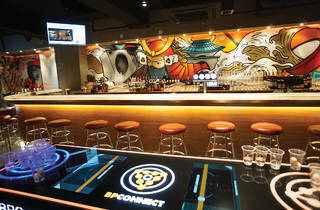 With top entertainment, this new bar is a great space to kick back in with some games after a long week. The drinks are hardly groundbreaking but they're decent enough, so head to Lyndhurst Tower on Friday night and do battle over cocktails.